Equip yourself with up-to-date knowledge to sell cyber insurance today. Cyber attacks continue to evolve and new risks emerge every day. You can’t afford to fall behind. This webinar will give you a thorough update of developments in cyber risk and cyber insurance so that you can communicate and sell the right cyber products to your clients. Don’t get left behind – attend this essential webinar today. 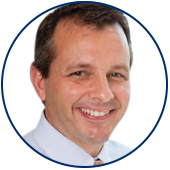 John Merchant is the Director of Cyber Insurance at Cyence Risk Analytics. He is responsible for the development and delivery of cyber analytics and insights to customers, as well as bringing new data driven cyber insurance products to the market. Prior to joining Cyence, John spent over 10 years in the insurance industry, primarily focused on cyber insurance product development, strategy and underwriting. John has held positions at Nationwide, AIG and The Hartford. Before joining the insurance industry, he held various strategic sales roles in the technology sector. 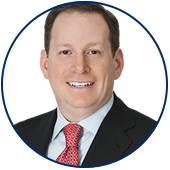 Fred Karlinsky is Co-Chair of Greenberg Traurig’s Insurance Regulatory and Transactions Practice Group. 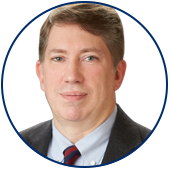 Fred has nearly 25 years of experience representing the interests of insurers, reinsurers and a wide variety of other insurance-related entities on their regulatory, transactional, corporate and governmental affairs matters. Fred is a recognized authority on national insurance regulatory and compliance issues and has taken a leadership position in many insurance trade organizations, has led many industry-driven legislative and regulatory initiatives, and is a sought after thought leader who has spoken and presented to insurance executives and governmental officials, both nationally and internationally.